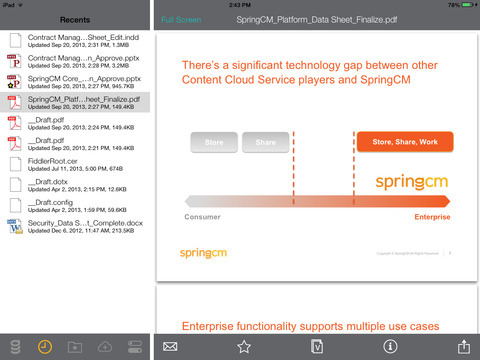 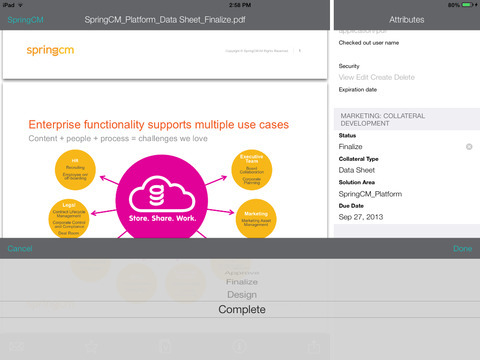 SpringCM business content management is more than just simple drag-and-drop doc sharing. 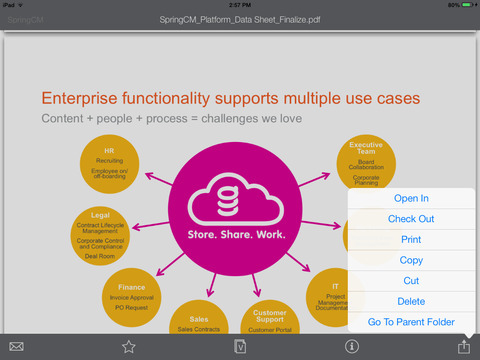 We mean real documents engaged in real work that adds value to the business every day. 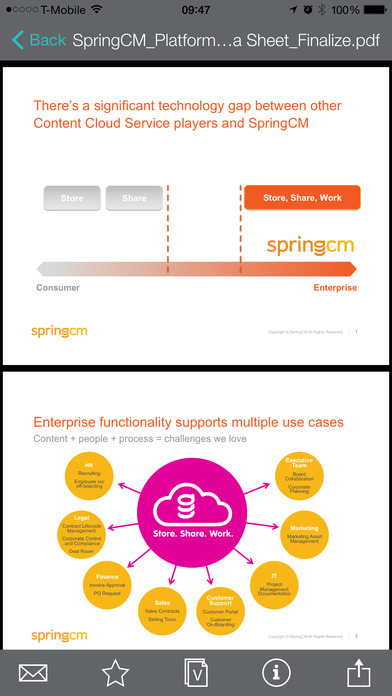 SpringCM specializes in putting business content to work—whether collaborating; organizing teams, tasks, and content for projects; automating workflows; or helping IT be more agile in delivering high-value content applications quickly.